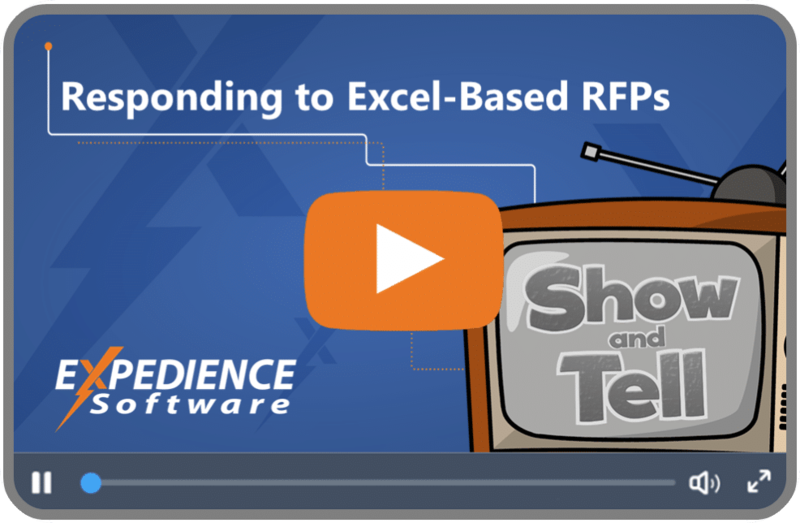 The Expedience Excel RFP Inspector is a Microsoft Excel Addin that allows you to inspect an Excel RFP or other spreadsheet, for restrictions and criteria, even if the Spreadsheet is protected. If a Worksheet is protected it becomes difficult to predict what restrictions and criteria may apply to the types and length of RFP responses. To evaluate the conditions placed on a protected sheet, click ‘Inspect Worksheet.’ The RFP Inspector will display a summary of the types of restrictions and criteria. Instead of inspecting each cell separately you can also choose to generate a report that will list all the restrictions applied to all the sheets in the Workbook.